Each summer, Gallery 263 offers our 700-square foot space in Cambridge, MA to artists of all media and experience levels. Artists benefit from full access to our space and amenities, participate in critiques or community outreach projects, and conclude their stay with a week-long exhibition. 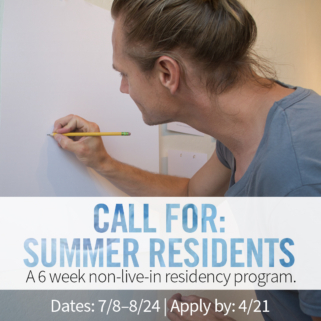 The Residency is a non-live-in, shared opportunity, and is typically awarded to up to four solo artists or one collective. The studio rental fee is $275 per artist.